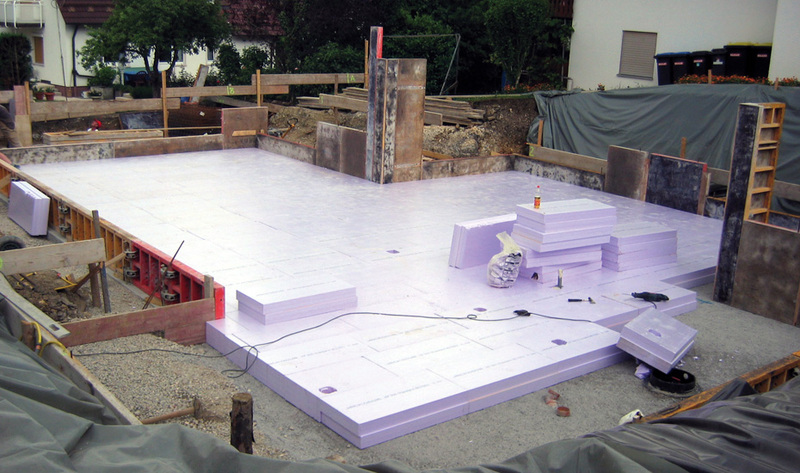 Thermal protection for energy-efficient construction projects. With a thermally insulated base plate, the requirements for thermal insulation in buildings (as per the German Energy Saving Ordinance) can be met. 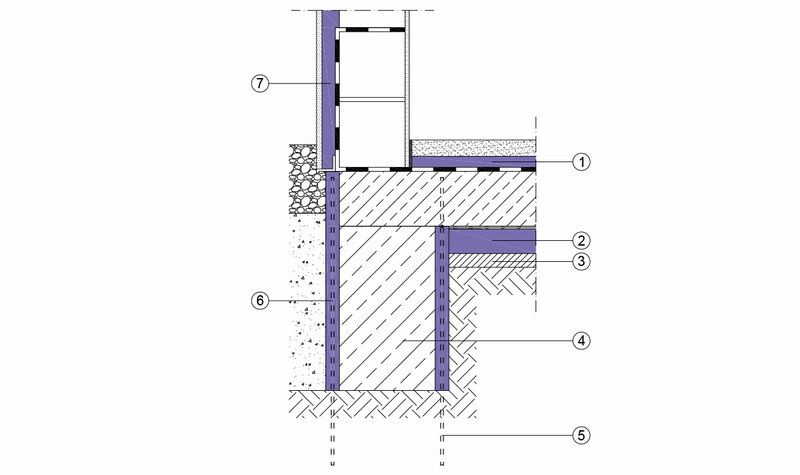 In principle, the only stress on the perimeter insulation below the base plate is the weight of the base plate itself and the travelling load. 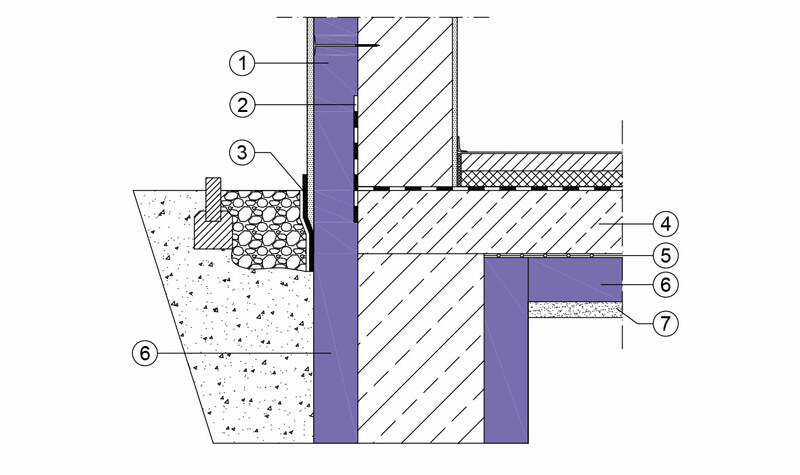 Because of its closed-cell structure, JACKODUR thermal insulation in extruded polystyrene foam (XPS) is resistant to moisture and therefore particularly suitable for use as perimeter insulation below the base plate. JACKODUR® Foundation shuttering Foundation shuttering and XPS thermal bridge insulation in one.